Today's Name of the Day is Larkin. It is Irish in origin and means "rough or fierce." 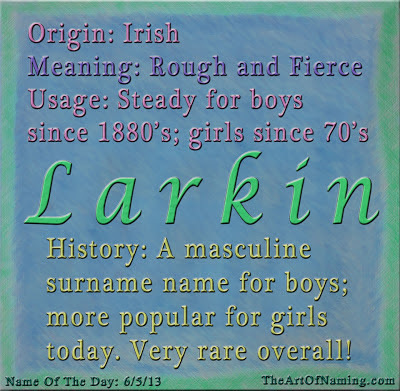 While "Lark" is a bird name that is generally used for a girl, "Larkin" is considered a masculine surname name. Just over 1900 boys have been named Larkin since 1880, which is an average of 15 baby boys every year. It has steadily been used, but it has never been popular. Even though it was technically in the Top 1000 in the late 1800's, very few boys were given the name. The early data and ranks aren't comparable to today's data. For example, in 1880, Larkin was ranked at #454 with 16 boys carrying the name. 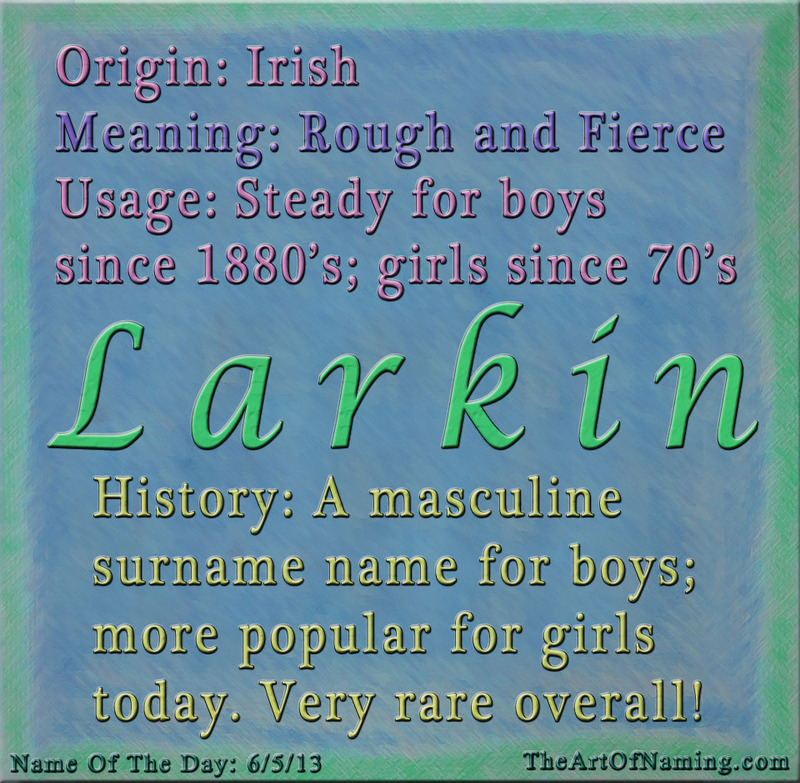 In 2012, 20 boys were given the name Larkin and it ranked in at #4757. 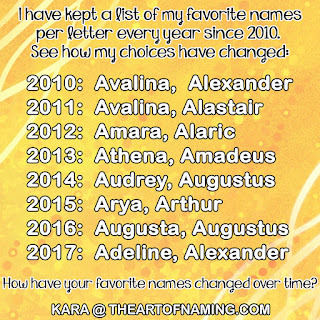 While the charts vary over the years, the amount of babies given this name is very steady. Starting in the 1970's, parents began regularly giving this name to baby girls. Just over 1000 girls have ever been named Larkin, or an average of 25 girls every year. This rare name is classified as unisex. While more boys have been named Larkin overall, the name is vastly more popular for a girl, (55 girls to 20 boys in 2012). But enough with the numbers and stats! Larkin is defined as Irish today, but it seems to also have Medieval English roots. One site says that it is a diminutive of Laurence. Most associate it as a relative of Lorcan, which is Irish and also means "fierce." Either way, this is a steadily used but rare name that may appeal to baby-namers today! It can fall into the "nature" category because of "Lark", but also into the "surname" category. It would make a great sibling to both Daisy and Cooper. Would you use Larkin for a boy or for a girl?